Well, more like Dentonwood. 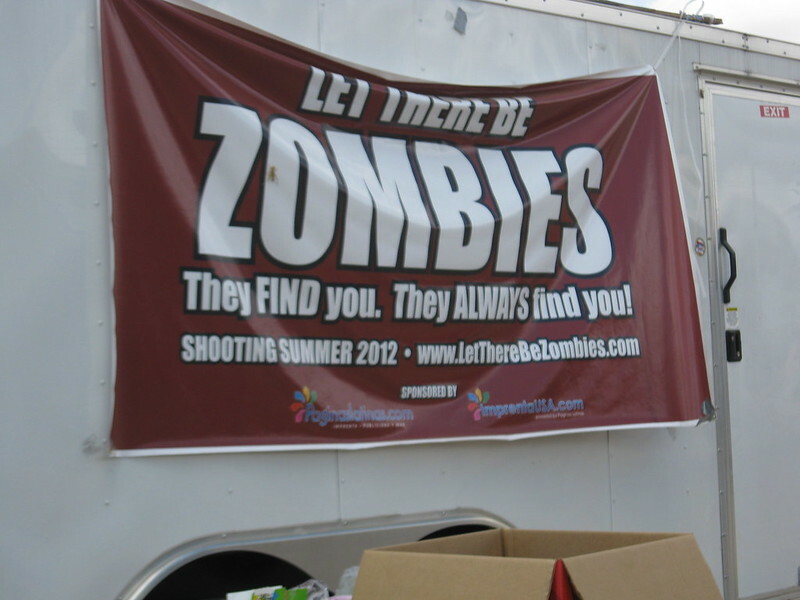 Chapter 19 was recruited by a local crew to provide personnel and props for the filming of "Let There Be Zombies", a campy little zombie flick being filmed in and around Denton, TX. We were to be among the last remnants of humanity in a camp full of other ZPAW survivors. 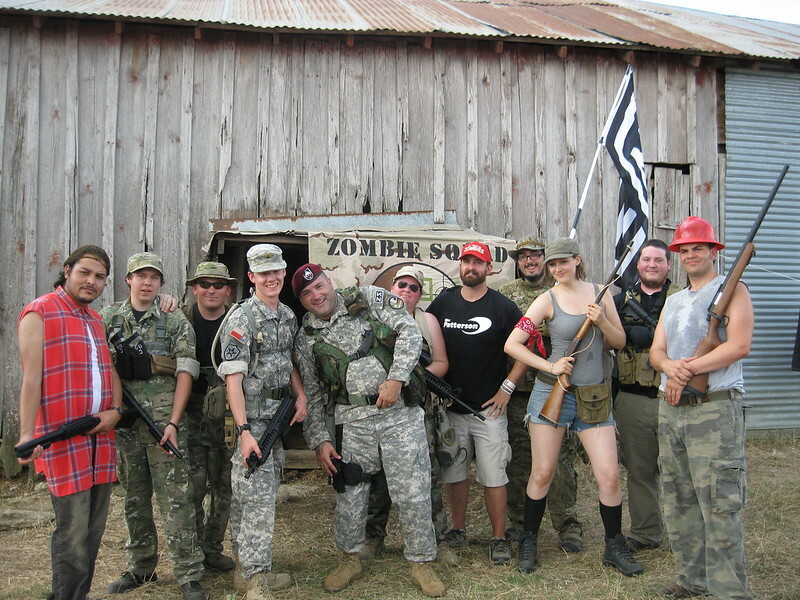 Basically, the director figured we could bring all our own camp and tacticool gear and that we would work for food. He was right of course. Betrayed by our basic need to mall ninja up and raid the Fuzzy's Tacos truck. We can't divulge much about the movie but we can show a few pics taken on location. Coming Soon to a Theater No Where Near You! Chapter 19 members with cast members and director. You can tell which ones are the trained professionals. Awesome, I hope to see it if there are some ZSers in it!